Houston Baptist University has recognized the growing need for engineers and information specialists who understand how to incorporate complex, state-of-the-art technologies in the systems that they design, implement and secure. To meet the need for Houston’s energy, computing / software / information, maritime, manufacturing, healthcare, financial, and aerospace industries, HBU has established a College of Engineering that offers Bachelor of Science degrees in Cyber Engineering, Electrical Engineering, and Computer Science. 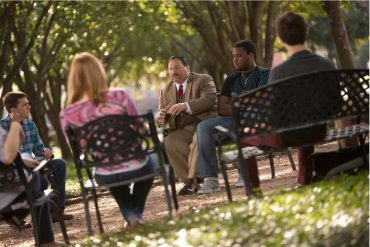 The vision of the College of Engineering at HBU is to be the best in the world for integrating fundamental principles of engineering, science and mathematics (STEM), and modern computing and information technology (IT), with historic Christian values and standards to serve God and serve mankind (Faith). These three “pillars” (STEM, IT, Faith), supporting each other and supporting each graduate, meet a significant need in the world of the 21st century challenges. Our pillars uniquely position HBU as a preparer of talent for the workforce, the community, and the world. The mission of the College is to educate and train engineers who will utilize God-given resources and God-given talents to serve humanity by solving technical challenges efficiently and securely. HBU Engineers serve the Lord Jesus Christ and serve humanity by making the world healthier, more productive, and more secure. College of Engineering students learn to address cyber related issues (e.g., security, internet of things, embedded systems, software protection, network defense, programming, mobility, and cloud computing) from the beginning of the freshman year. The first-year projects curriculum utilizes a unique mobile technology platform (electronics and computing kit) to provide students hand-on projects. Students learn the intricacies of engineering and computing in an immersive learning environment. This curriculum cultivates problem solving and critical thinking skills. Students look at problems (typically in the cyberspace domain), design algorithms and propose them as solutions, and analyze the effectiveness of their implementation. Students are required to have an appropriate laptop and the curriculum’s hardware platform kit. The student’s individual solutions to the challenges, projects and open-ended exercises will be implemented using this technology platform. All students in the College of Engineering complete a year-long senior project, directed by faculty but sponsored by industrial partners. In addition, all students complete at least one professional education experience (i.e. internship). HBU staff assist students in identifying internship opportunities. By interacting directly with engineers working in industry, students gain practical and real-world problem-solving experience to enhance their learning. Curricular threads are broad themes or topics that appear in many (if not all) courses in a degree program. 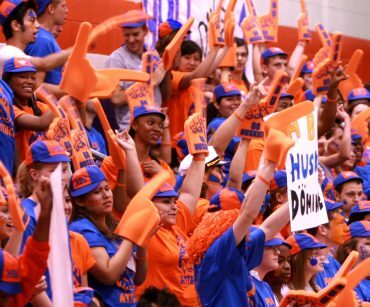 These themes appear to some degree in all three of the HBU College of Engineering programs. Our curricular threads include Cloud Computing (storage, access, security), Cybersecurity, Mobility (wireless networks, mobile devices, Internet of Things), Data Analytics (Big Data, Machine Learning), and Project Management. The Cyber Engineering Program (CYEN) is a four-year undergraduate degree best described as the intersection of Computer Science (CS) and Electrical Engineering (EE) applied to the cyberspace domain. Cyber engineers incorporate electrical engineering and computer science to understand cyberspace and use skills developed in digital forensics, security policy, and network defense to perform cybersecurity tasks, as well as work on engineering hardware and software. Cyber engineers design secure systems at the interface of operational technology (sensors and things that move) and information technology (the digital world). The CYEN program is designed to prepare students to embark on a variety of opportunities in cyber- related fields; its cores consists of a series of cyber courses. These courses are designed to motivate the application of theoretical concepts learned in other courses and to promote discovery of the underpinnings of EE and CS. Combining intense coursework and open-ended problems, the projects-based cyber courses provide students with an immersion in Cyber Engineering. The Electrical Engineering curriculum is a carefully planned program of study designed to meet the challenges of expanding professional opportunities. From foundations in the basic sciences of mathematics, physics and chemistry, the program progresses through the engineering sciences to emphasize the roles of mechanics and electrical theory in the analysis, synthesis, design, and operation of engineering devices and systems. A coordinated laboratory program and series of projects supplements classroom instruction, stimulate creativity, and further professional competence. Finally, a variety of courses selected to provide an adequate humanistic and cultural background is included to insure both the recognition and fulfillment of the engineer’s responsibilities as a citizen. The computer science curriculum is designed to provide students with a foundational education in mathematics, science, and the humanities; an in-depth study of computing, including the practical and theoretical aspects of both hardware and software; and an opportunity for graduate study or a challenging position in industry. Because of the rapid pace of change in the field, the program places primary emphasis on fundamental computing concepts including multi-disciplinary applications. The College of Engineering at Houston Baptist University offers B.S. degrees in Cyber Engineering, Electrical Engineering, and Computer Science (beginning Fall of 2018, pending SACSOC approval). These degrees will produce graduates in high demand, in many of our nation’s critical infrastructure industries. Please see the information available on these programs on the HBU website, or elsewhere in the catalog. For those students who wish to pursue a major in a field of engineering not offered by HBU, the pre-engineering program is designed to prepare students to complete an engineering degree after two years of full-time study at HBU followed by two to three years of full-time study at a university that offers alternate engineering programs. The exact time required will depend on the university and the field of engineering chosen. 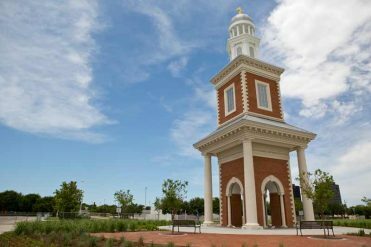 The pre-engineering program allows students to take many of their engineering, math and science courses and some of their general elective courses at HBU before transferring. The Dean of the College of Engineering will provide students with advice and assistance in selecting courses to prefer them to transfer. The Dean will work with the student and the university that the student plans to attend after leaving HBU, to verify that the courses taken at HBU will satisfy that school’s requirements. To be recommended for admission to an engineering school, students must complete all required courses with a grade of a “C” or higher, and maintain a cumulative Quality Point Average of at least 2.5. For students who wish to begin their studies at HBU, and later transfer to an engineering college that offers alternate fields of engineering, HBU offers an excellent starting place. 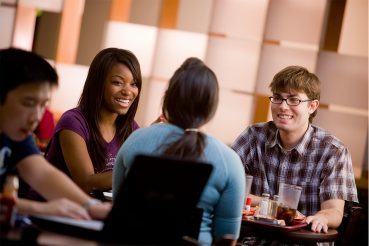 While at HBU, students benefit from the University’s quality academic programs based on strong Christian values, small classes with easily accessible faculty, and many opportunities to participate in a variety of extracurricular activities including student chapters of professional organizations, music, sports, student government, and fraternities and sororities. The College of Engineering provides many opportunities for all students, including first and second year students (and pre-engineering students) to interact with industry professionals, and work on realistic projects while learning fundamentals.